What is a Vent Free System, you ask? So glad you did. We know in this industry there is a lot of lingo that isn’t used in your world so we want to help you understand your options and make the best choice for your home. Simply stated, a Vent Free System is a complete fireplace—a firebox (the metal shell), burner (where the gas goes) and log set (the pretty part we all ooh and aah over), with no venting or ducting required. Just drop it into a decorative cabinet, hook it to your gas line and in about two hours, voila! you have a fireplace. It can’t be that simple, you think. Surely there is a catch. Nope, no catch—it really is that simple. 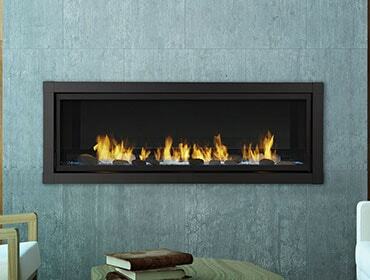 For a home with no existing fireplace but with a gas line (or the ability to add one), it really is that easy. Systems can also be installed in a wall as well, if you prefer that look. That takes a little longer and requires a bit more effort, but a vent free system is still an ideal choice—no costly venting to run. A Monessen vent free system can be installed on an interior wall or below grade structures where a vented system would be expensive, or impossible, to install. Look below to find a Monessen vent free system that fits your specific needs. This premium fireplace with clean, transitional style caters to anyone looking for a beautiful heat source for their room. 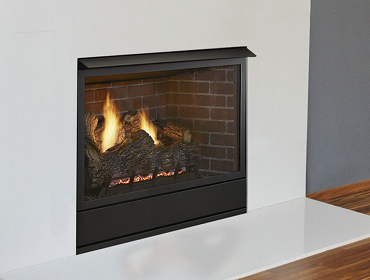 All the convenience and performance of a no vent system combines with the wow factor of a "see through to the outdoors" fireplace. 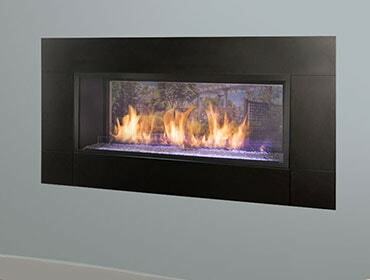 Now you can have the sleek look of a contemporary fireplace just about anywhere with the Artisan vent free fireplace. 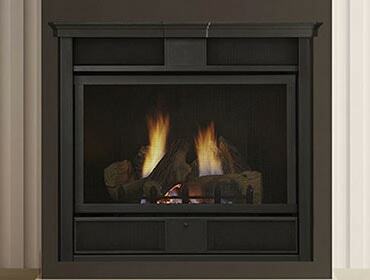 Compact and versatile, the Symphony vent free gas fireplace heats smaller spaces beautifully and affordably.